Electric and Musical Industries Ltd, also known as EMI Music or simply EMI, was a British multinational company. It was formed in March 1931 by the merger of the Columbia Graphophone Company and the Gramophone Company, with its "His Master's Voice" record label. 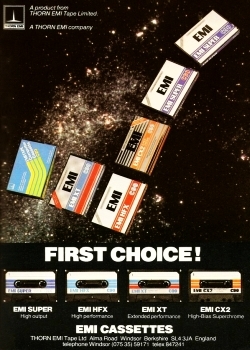 In 1979, THORN Electrical Industries merged with EMI Ltd. to form Thorn EMI.